You likely already know actress Tatyana Ali from her role as the fearless, sassy Ashley Banks on The Fresh Prince of Belair. Here are ten facts about Tatyana you probably didn’t know! 1. Her first exposure to television was an audition for Sesame Street in 1979 that she begged her mom to take her to. 2. Her mother was a nurse from Panama and her dad was a retired police officer from Trinidad. 3. She appeared on and won the show Star Search twice at the age of seven. 4. Ali moved to Los Angeles to start her career where she got the role of Ashley Banks in 1990. 5. 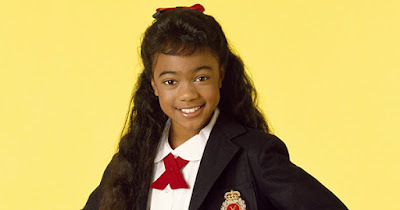 While she was already filming The Fresh Prince, she made guest appearances on The Mickey Mouse Club, The Cosby Show, Kino’s Storytime, and Are You Afraid of the Dark? 7. Her single “DayDreamin’” rose to number six in the Billboard 100 Hot Singles for two weeks. 8. In 2002, she went to Harvard and graduated with an Afro-American history degree. 9. Ali is multilingual and can speak fluent Spanish and some Hindi. 10. She gave birth to her first child Edward Aszard Rasberry at the age of 37.